The railroads have proposed that a statute similar to the Price-Anderson Act of 1957, as amended, 42 U.S.C. § 2210 (with pertinent definitions in id., § 2014), be adopted to limit their liability for accidents involving hazardous materials. The Price-Anderson Act is not simply a limit on liability. It is premised upon extensive governmental regulation of the safety of nuclear facility construction and operation. And it requires joint industry participation in insurance pools and purchase of large amount of commercial hazard insurance and waiver of various defenses to claims and expedited claims procedures. Under Price-Anderson, the financial impact of a serious accident an individual plant would be spread across the entire nuclear industry. The nuclear industry has voluntarily taken measures to improve its safety record, by creating, among other actions, a safety “watchdog,” called the Institute of Nuclear Power Operations, which rigorously oversees the safety of commercial nuclear power plants. I am not aware of any proposal from the railroads that fully captures these essential elements. If the railroad industry believes that a limit on liability for shipments of hazardous materials is appropriate, it must seek that change from Congress. However, it is important to recognize that the Price-Anderson Act, as amended, is not simply a limit on the liability of those involved with nuclear power plants and transportation of nuclear materials (including railroads). As I explain below, it is part of a comprehensive regulatory, safety, insurance and waiver of defenses approach intended to assure safety of nuclear facilities and expedite compensation if accidents occur. 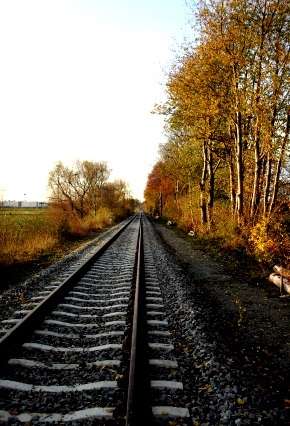 Railroads do not have authority to impose limits on tort liability in their tariffs, nor may they ask the Board to adopt such limits which preempt State law. Tort liability is the province of the courts, or the Congress and the State legislatures. Click here to view the complete PDF version of the article. Reprinted with persmission from the Journal of Transportation Law, Logistics and Policy.